* Draw outline-based glyphs using the Brush, Pencil, Rapid, Pen, Ellipse, and Rectangle tools, in a fractional coordinate space with live rounding into integer coordinates. * Use upright and slanted grids, flexible guidelines, snapping suggestions and live measurement tools for consistent and precise vector drawing. * Paste and import vector artwork, scanned character sets or color bitmap glyphs, and turn them into monochrome fonts via customizable autotracing, and into color fonts. * Draw calligraphic letterforms using a live, adjustable PowerBrush tool, assign and expand strokes. * Natively edit cubic PostScript Bézier curves and quadratic TrueType curves, including overlapping open paths, using the Contour, Knife, Scissors and Fill tools. Convert between the curve types with adjustable precision. * Find and fix outline problems with FontAudit. Automatically clean up and optimize outline drawings, balance segments and modify curve tension, harmonize G2 curvature, create and remove overlapping paths, apply non-destructive ink traps and rounded corners. * Automatically change weight, create contour versions, apply effects to outline and bitmap glyphs. * Blend, interpolate and extrapolate fonts, create intermediate weights and styles, build extensive font families and variable OpenType fonts with intermediate font and glyph masters, and automatic masters matching for point-compatible outlines. * Space entire phrases and kern according to planned pair lists. Apply tracking, modify widths, sidebearings and kerning globally or for selected glyphs. * Automatically or manually link metrics between glyphs using complex expressions. * Kern between classes and glyphs in a UFO- and OpenType-compatible way, with exceptions. * Automatically build kerning classes. * Automatically calculate metrics and kerning, or use autokerning suggestions as you kern manually. * Create, open, edit and export monochrome outline fonts with single masters (desktop and web) and multiple masters (variable), color fonts (with multi-layer editable glyphs, SVG glyphs or bitmap glyphs). * Compare fonts, merge and split font glyph sets and variations. Modify fonts, glyphs, metrics, kerning and technical font information. Convert between font formats, improve screen appearance with automatic and manual hinting. Exchange font source with other font creation apps. 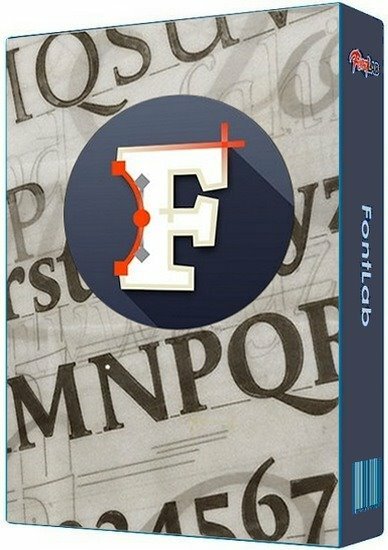 * Advanced OpenType Layout features creation with FEA format and Adobe FDK for OpenType. * Kern feature optimization by KLTF. * Feature preview with the HarfBuzz world-ready engine. * Windows screen preview with genuine Microsoft ClearType (even on the Mac). * Variations with MutatorMath and fontTools.varLib. * Open and export OpenType-PS/CFF (OTF), OpenType TT / TrueType (TTF), Variable OpenType TT (TTF+gvar), Color OpenType (TTF+SVG, +COLR, +CBDT, +sbix), PostScript Type 1 (PFB/PFA), Web fonts (WOFF2, WOFF, EOT), FontLab (VFB, VFC, VFJ), UFO, designSpace. * Also open BitFonter Photofont (PHF+PNG, +SVG), Fontographer (FOG), Glyphs, Ikarus, and any of the above in ZIP files.